Qvach - SOC as a Services - Pyramid Cyber Security & Forensic Pvt. Ltd.
Pyramid Cyber Security & Forensics Pvt Ltd believes that security need not be expensive or time-consuming but should be comprehensive log and network monitoring, correlating it to external intelligence such as threat feeds. Our SOC’s hybrid distributed architecture enables fetching endpoint logs from multiple geographies and correlate them. We understand each of our customers has unique needs and goals. Our Managed SOC service is the most flexible in the industry and can address all the requirements as the customer prefer. For example, some organizations prefer to outsource all aspects of administration, logging and monitoring activities of their networks to our SOC team. Others prefer a hybrid model where we provide a fully managed cloud-based SIEM service and they monitor and remediate their own security events. Still, others wish to maintain their own on-premise SIEM system but are looking for our help to either remotely administer their SIEM or monitor alerts. 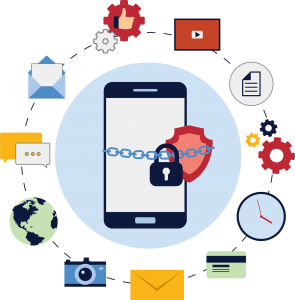 Pyramid helps customers in Government, Law Enforcement, and Enterprises to identify,prevent, detect, resolve and protect from threats, crimes, breaches & frauds arising due to misuse of digital & communication devices, applications and technologies.